I have been playing around with different apps trying to come up with an efficient way to take field measurements on a tablet. 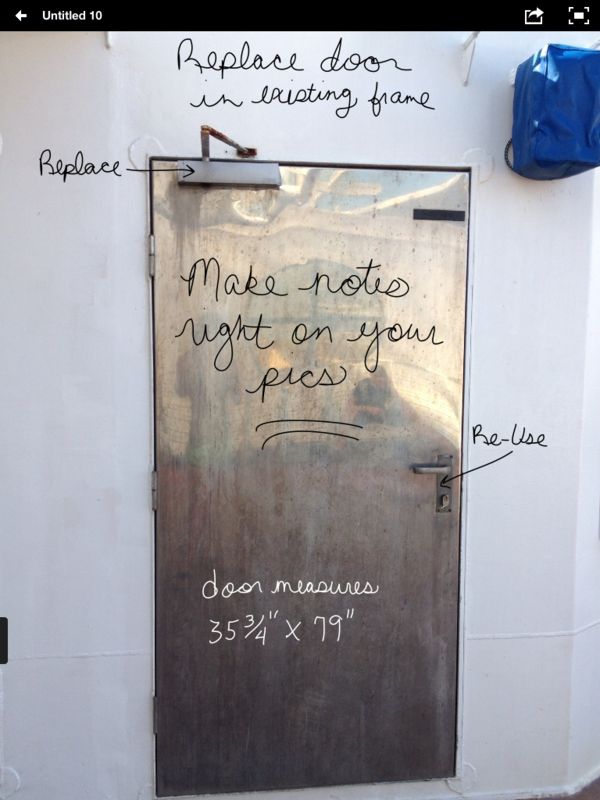 I found adobe ideas, an app that lets you import a picture and “write” on it. 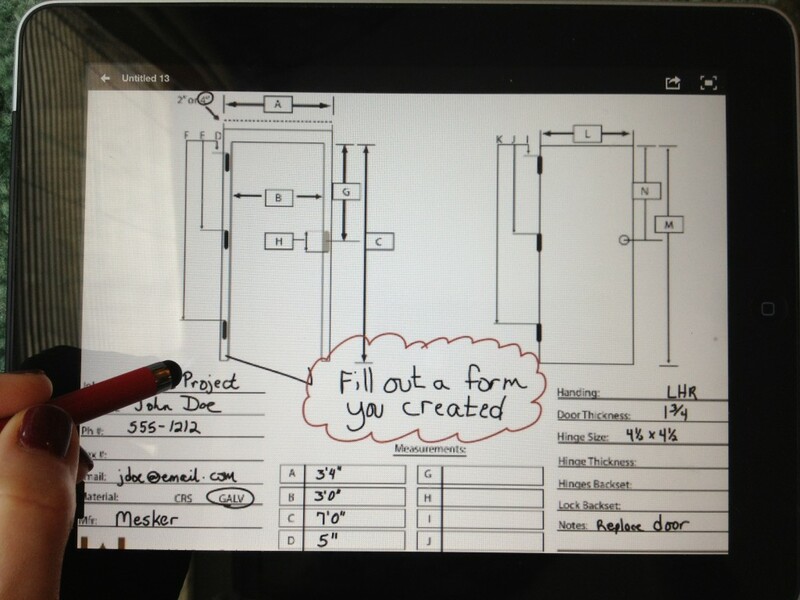 If you have a tablet that has a camera, you can take a picture at a jobsite, import it to adobe ideas and make notes right on the picture. Taken a step further, you can create a form, save it as a jpeg (a picture file), import it into adobe ideas and fill out the form on your tablet. 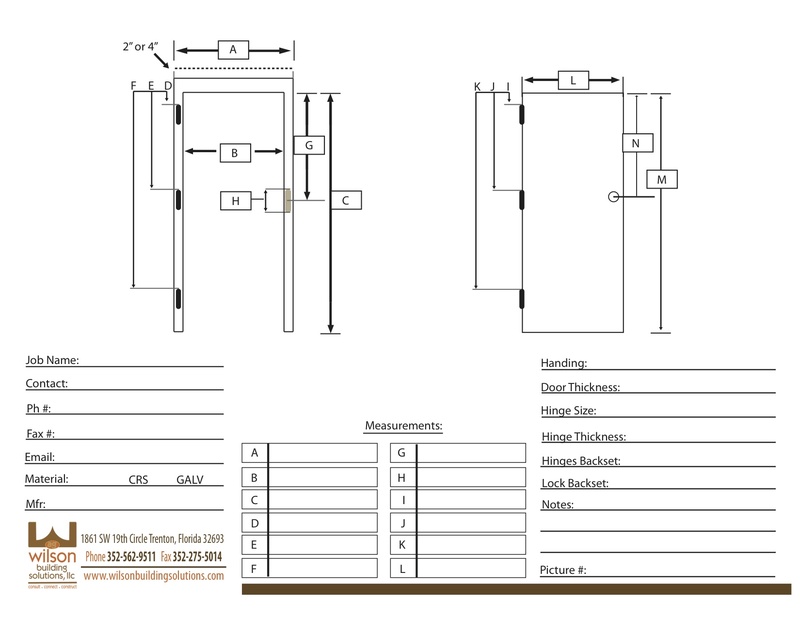 For example, here is a form that I created to ensure all vital information needed to replace an existing door or frame is captured. This form is available on the “Doors 101″ tab on my website. It is a work in progress and suggestions are welcomed! You can import this picture into adobe ideas and fill in the blanks. I found that using a stylus is neater than your fingertip. A stylus is a pen shaped device used to interact with a touch screen. Once completed, you save the file for your records. 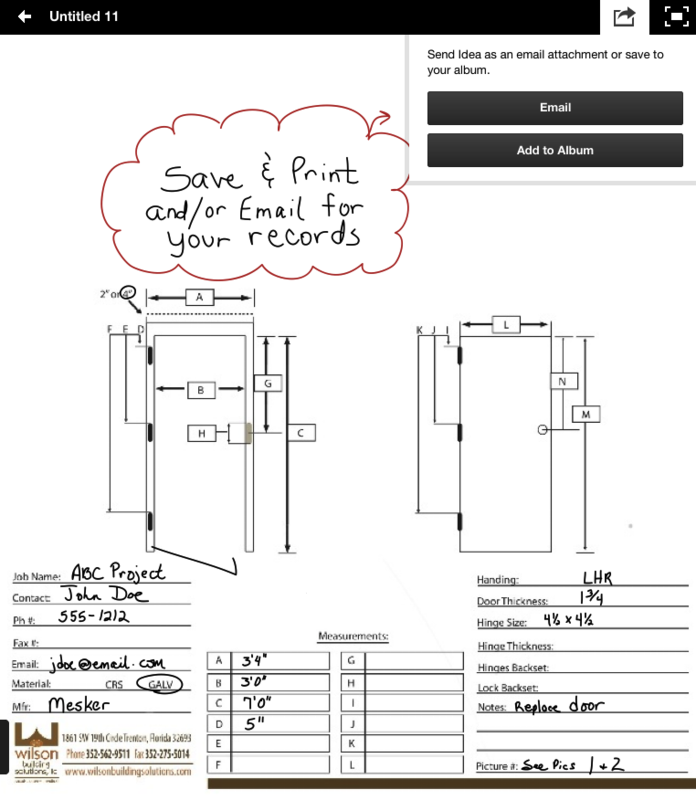 You can email the file right at the jobsite and/or print when you get back to the office. Please share in the comment section below if you have found other ways of using a tablet to take field measurements.